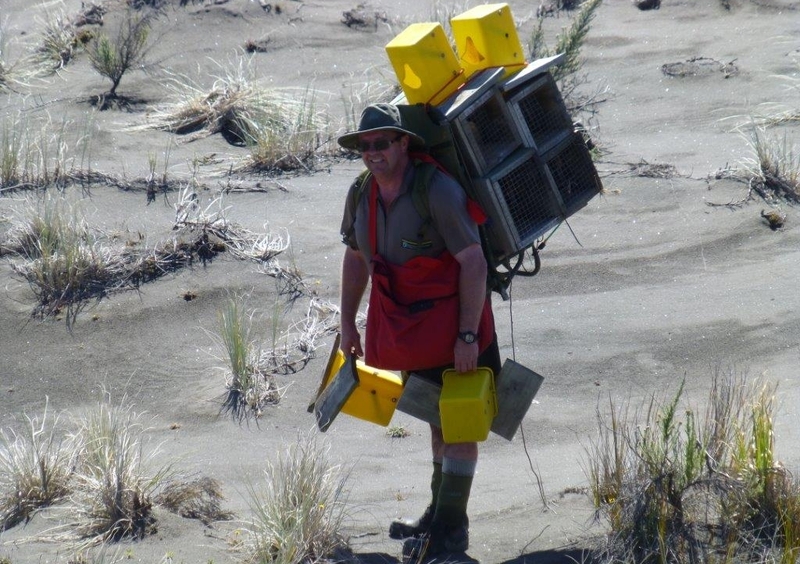 Today we profile Michael Paviour, Partnerships Ranger in Hamilton. 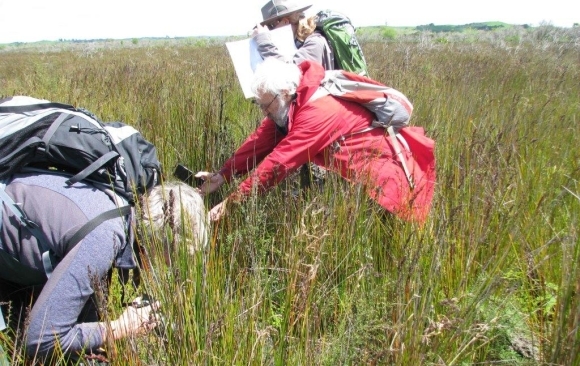 I’m currently leading the Living Water work at the Waikato Peat Lakes. 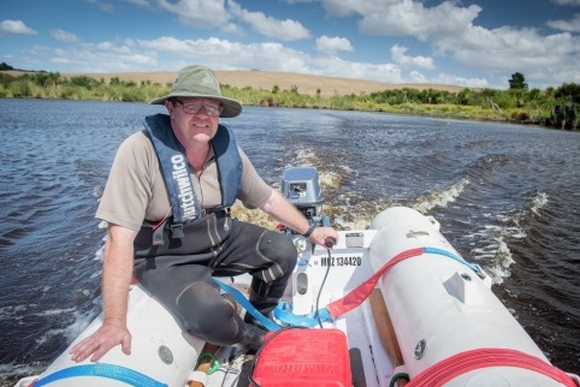 My work focuses around improving the freshwater quality and biodiversity at our sites, working alongside iwi, landholders, Fonterra and the community. I have also ended up with some tricky and unusual missions, like trying to restore a cemetery, managing remote dotterel sites and working with a range of community groups, schools and the Department of Corrections. Working with others to help us do our conservation work. This is something that we have always done to achieve more with less. I think DOC rangers are really skilled at working out the best way to do things for the least cost and finding different ways to achieve a goal. A mixture of getting stuff done, working with lots of people and groups, and doing meaningful work. I could go on and on and on. Being the first on the scene after a car transporter, with five 4WDs on the back, had gone into the Waioweka Gorge was a memorable one. There are so many great rangers out there! I remember, when I was a Trainee Ranger many moons ago, I had a summer placement in Kerikeri. I was thrust upon an awesome biodiversity ranger (poor guy). Before I knew it I was up in the forest in a half made hut, feeding kōkako chicks in a bush aviary using puppets through one way glass. He showed me the commitment, work ethic, ingenuity, skills and passion required to be a DOC ranger. He was also extremely kind to me outside of work. I was staying in a small one person hut in a park and he often invited me over for dinner and to watch the rugby, much more often than he needed to. It has always left a real impression on me. Also, because he walked the talk outside of work (like many DOC people do). So sorry to embarrass you Steve Mcmanus. 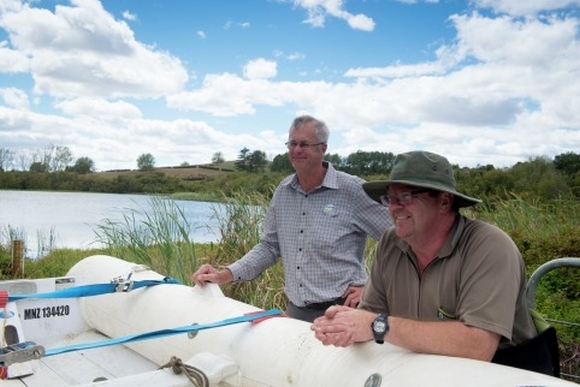 Having a yarn with Tim Brandenburg, Fonterra’s Living Water Project Manager. Used to do VIP security at Big Day Out. Love Will Tear us Apart by Joy Division. A taniwha, looking for chances to drag polluters into the river. Dressing up as a taniwha. I am trying to be the person my dog thinks I am. My grandmother’s memory. She was a fantastic woman who taught me about conservation and appreciating the natural world from the very start. Stop talking about how much conservation areas matter to you and get amongst it. Practical, passionate, pragmatic and positive – we love working with you Mike! National Wetland Trust.